Welcome! These eLearning courses are for Six Seconds Certification trainings. En Desbloqueando EQ vamos a enfocarnos en qué es EQ, por qué es importante y cómo integrarla en tu practica diaria. In this robust blended program with over 40 hours of training, learning professionals add the best-in-class SEI toolkit to their repetoire to measure and develop emotional intelligence. How can “EQ” be applied in a practical, tangible way for managers, educators, or others to quickly put emotional intelligence into action? Earn certification in the Brain Brief Profile, Brain Talent Profile, Brain Discovery Profile — and the Dashboard (and the youth version of the Profiles if applicable to your work). Experience why, what, and how EQ works & Six Seconds’ research-based methods & tools. EQ drives effectiveness, relationships, quality of life and wellbeing. These learnable, measurable, scientifically-grounded skills are transformational... but how do you get started? Unlock the power of your emotional intelligence and get started on the pathway of EQ certification. Learn to utilize the EQ Brain Profiles to put simply-powerful emotional intelligence metrics into action. Percorso per potenziare l'efficacia usando i Profili EQ, un potente set di strumenti per creare comprensione, migliorare la comunicazione, aumentare l'efficacia e consolidare le prestazioni. Los PERFILES destilan el poder de una herramienta avanzada de evaluación en una sola página para obtener una visión convincente, rápida y significativa de tu cerebro. Pre and post-course learning for the flagship “Practitioner Certification” program on how to fuel transformation by harnessing the learnable, measurable, scientifically-grounded skills of emotional intelligence. Prepárese para EQPC, aprovechando estos recursos para poner en práctica su aprendizaje del curso EQPC, a medida que completa los requisitos para obtener su certificación. Learn to measure and develop EQ with these best-in-class, action-oriented tools — from your desk in this practical one-to-one program. Special for India & Africa, the EQFC is a multi-step program to equip professionals with the powerful toolbox for measuring and developing emotional intelligence. The full EQFC includes the 'EQ Assessor Certification' and includes over 50 hours of training and project implementation. 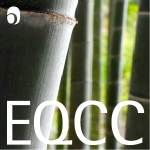 EQAC-E provides certification in the SEI EQ assessments for youth & adults, and optionally the Education Vital Signs climate assessment, plus offers guiding principles and frameworks for creating Great Places to Learn. Impara a usare lo strumento di self-assessment SEI. EQ Assessors become accredited to use the SEI Youth Version and how to apply within the broader context of Social Emotional Learning. This eLearning supports Assessors to learn and apply this tool for ages 7-18. Questo eLearning accompagna la certificazione EQ Assessor per Educatori e la certificazione SEI YV stand alone. A social-emotional learning (SEL) program supports students to be more effective by increasing emotional intelligence. EQEC provides insights and tools to effectively lead SEL by teaching and modeling learnable skills proven to increase academic and life success. How to create a great place to learn? Start with a school climate survey that is highly customizable for your school setting. Learn the value and how to set-up, administer, and debrief this survey with your school. Vital Signs Consultant Certification — Learn powerful tools to measure the drivers of organizational performance. Pre and post-course learning for the flagship “Fellow Certification” program on how to fuel transformation by harnessing the learnable, measurable, scientifically-grounded skills of emotional intelligence. 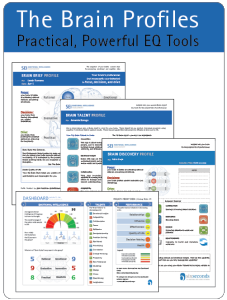 For the EQ Fellow Certification program in India, this is the Seconds course, EQ Profiler,for introduction to the Brain Profiles in Six Seconds' world-leading approach to emotional intelligence. The Facilitator Integration (FI) is a special program for graduates of the EQ Core (UEQ + PC + AC) supporting you to integrate & apply your learning to practical application: How do you effectively apply the EQ tools & methods to your work as a facilitator? How do you most effectively apply the methods & tools from the Core certifications to deliver a powerful workshop or course? Dive deeper into Six Seconds' methodology to design transformational learning. This program prepares you to facilitate the powerful IPM workshop to practically apply the concepts of the Brain Profiles for managers. Upon certification, you’ll be able to use the IPM curriculum together with the personalised EQ Insights for People Management workbook-report. How can you best apply the tools & methods from Core certification to your own life?